Finally, after one and a half year of not using her, I brought my TD back on the road. 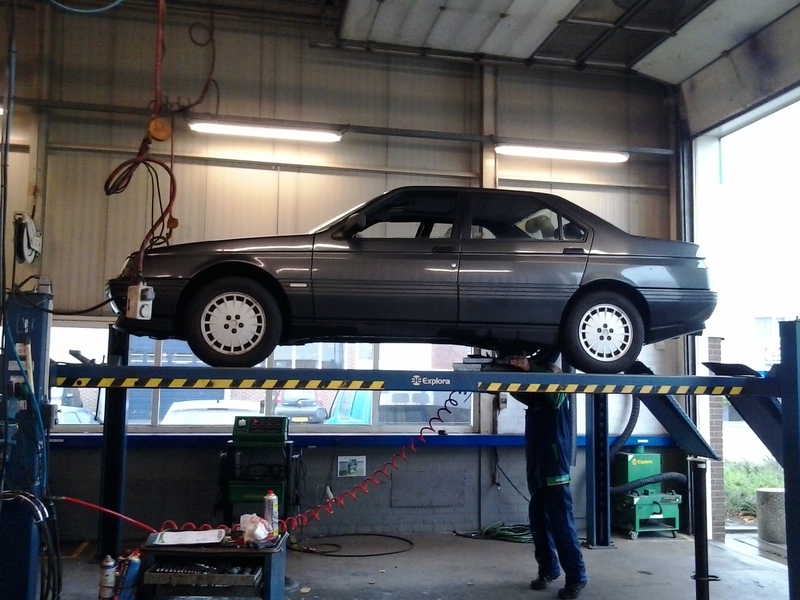 Before it was able to be used legally, the car first had to have its annual safetycheck. Although I did see a million things I didn't like, the inspector only found one point the inspection failed on. The brake proportional valve was stuck. Luckely a friend had one in storage so I picked it up. Since I didn't like to open a box of Pandora by loosening the brakelines I tried to make the valve moving again. Luckely it worked!